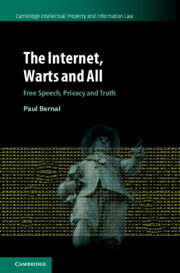 The Internet, Warts and All: Free Speech, Privacy and Truth by Paul Bernal is not a law book; it is a book about seeking to understand an environment – the internet – in which the law operates. It is a book about law, but “It is also … about technology, about politics, about psychology, about society, about philosophy.” Regulating the internet impacts all these. 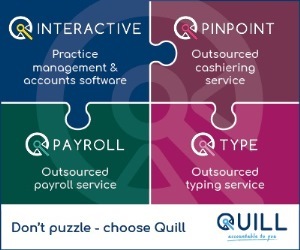 Whilst the internet started off as a communications medium and an information resource and, for business, a marketing opportunity, it now underpins almost every aspect of our lives and is integral to the way our society operates. We need to face up to and accept the fact that the internet really is a mess. The way through this mess requires balances and compromises which change as the technologies develop. New internet-related publications for lawyers. The “fully updated” second print edition of The Law Society Guide to Good Practice includes 100 current Law Society practice notes, plus details of useful contacts and further resources, an index and tables of citations. It is 972 pp, weighs 1.5 kg, occupies 4.3 cm of shelf space and costs £60. The Institute of Advanced Legal Studies (IALS) has as its central remit the promotion and facilitation of research and scholarship at an advanced level across the whole field of law. Though based in central London and attached to the University of London, IALS draws its primary membership from academic researchers and postgraduate research students from other institutions throughout the UK, and provides services to researchers in the wider legal community. IALS has been involved in innovative online legal information delivery for many years, developing and promoting public access to materials on the web through the creation of a wide range of e-resources, digitisation and collaborative ventures. The arm of the Institute actively involved in this field has recently been renamed IALS Digital. Through the ongoing work of IALS Digital, the Institute is committed to extending the reach of digital provision of legal information by delivering specialist legal research tools and niche web services – maximising access to key or hard-to-find information to facilitate legal research, public understanding, and the promotion of justice and the rule of law. Some of IALS Digital’s recent initiatives are highlighted below, along with several of its more well-established research tools. All of the resources are freely available at ials.sas.ac.uk/digital. The Institute for Advanced Legal Studies (IALS) has launched OBserving Law, the IALS Open Book Service for Law, being developed as part of the School of Advanced Study’s Humanities Digital Library open access book publishing initiative. OBserving Law aims to provide a new open access monograph publishing service for legal researchers. Titles will be made freely available in PDF and epub formats, with single volume and separate chapter versions. A print on demand paperback purchase option will be offered as standard with a hardback choice for libraries and others that may prefer that format. This Guide, published by the Inner Temple Library and compiled by Sally McLaren, is a revised and expanded edition of the Library’s 2006 guide. 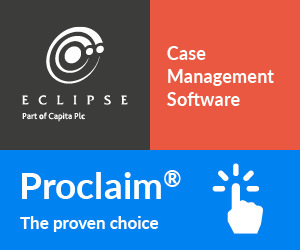 It is intended primarily for information service staff who need to obtain transcripts of the proceedings of courts and tribunals in England and Wales. The guide (in PDF) costs £19.99. Details. My third book was to be a challenge because it involved me in interviewing sixteen lawyers of different persuasions from around the world, from Honolulu to Ghana, from Rotorua to London. It would have been a daunting task to interview them all face to face! Fortunately, thanks to Skype technology (and a few trips), I was able to produce the book mostly from my base in New Zealand. We do not generally cover books in the Newsletter but occasionally there are exceptions – and Internet Law and Regulation by Graham Smith and other lawyers at Bird & Bird, now published in its fourth edition, is an exception. 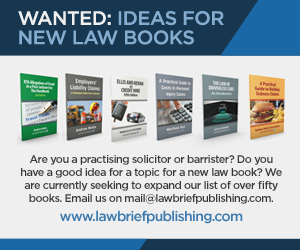 Graham has been writing and editing editions of this book for 11 years and is one of the leading internet lawyers in the UK.